Following up on the basketball series I did with my friends, I went ahead to look for some stuff to photograph, and I chanced upon my friend, Matthew, and his portrait series with Team Strong Silvers, a group of active and sprightly seniors. That’s how it all started, with Matthew linking me up with Robert, who helps manage the team, and subsequently, the gentlemen themselves. 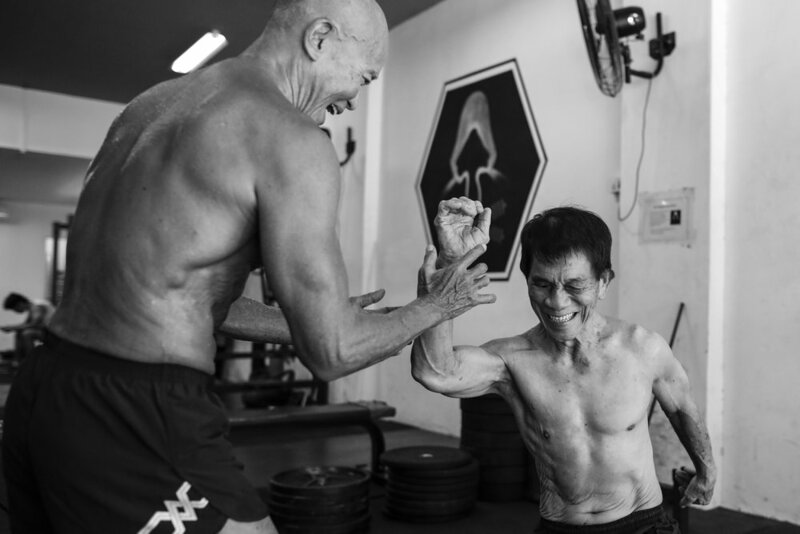 After some research, I found that the group had been featured a couple of times before, and as I was keen in looking for a subject who was yet to be 'overly photographed', I decided to focus on Mr Ng Bee Kia, who is 72, and a good subject according to Robert. Similar to the basketball series, I brought along only my primes for this set of pictures. 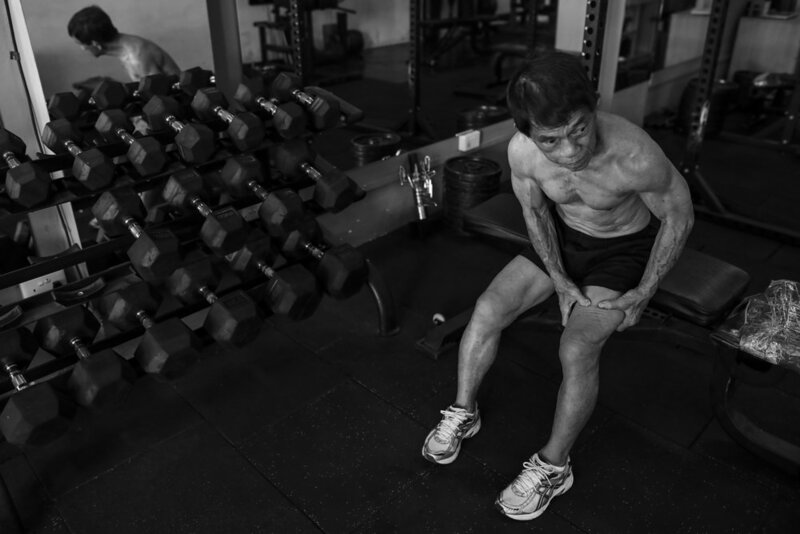 I managed to photograph Mr Ng, along with the rest of the team at one of their workout sessions at Gym Brigade, where they usually do group workouts. Otherwise, it would be at their convenience in their respective residential neighborhoods. While I am hoping to dive deeper into the series, this would take some time and I thought I’d just share a little of the images, at the same time, to thank the team for their time and obliging me with the opportunity!